Dr. Zeester is an amazing and very knowledgeable doctor. Not only is he experienced in his field, he has an awesomepersonality! He takes time to explain in detail what your prognosis is and what will help! Absolutely appreciate his expertise and kindness! Dr. Zeester is an amazing and very knowledgeable doctor. Not only is he experienced in his field, he has an awesome personality! He takes time to explain in detail what yourprognosis is and what will help! Absolutely appreciate his expertise and kindness! I was surprised but happy that I went in for a consult and got treatment and outpatient surgery right then andthere. Dr. Zeetser and his team were so friendly and accommodating. I am so grateful for his help, especially since I needed extra numbing in my foot as I am sensitive to pain. I was surprised but happy that I went in for a consult and got treatment and outpatient surgery right then and there. Dr. Zeetser and his team were so friendly andaccommodating. I am so grateful for his help, especially since I needed extra numbing in my foot as I am sensitive to pain. 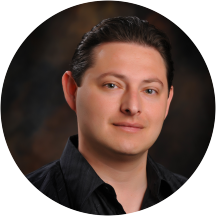 Dr. Vladimir Zeetser is a board certified podiatric physician and surgeon specializing in reconstructive foot and ankle surgery. His training includes advanced wound management and limb salvage and he has consistently achieved unparalleled results in healing problematic wounds. As an innovator and trendsetter in his field, he has been progressive in expanding aesthetic foot surgery and associated procedures to improve his patients’ self-image while achieving among the highest functional outcomes and levels of patient satisfaction. Apparently unconventional in his practice approach, Dr. Zeetser believes that surgery should be minimally painful with a convenient and tolerable recovery, while producing the maximum results. He believes that the aesthetic result of any procedure is not a secondary consideration, but is just as important as the primary condition being corrected. Feel free to explore this internet destination to become acquainted with the information and services available. Dr. Zeetser treats all aspects of foot and ankle structural disorders, including lower extremity muscular, neurological, vascular and skin conditions. During your consultation, Dr. Zeetser always performs a thorough evaluation, explains his findings in detail and creates a treatment plan tailored to your specific needs. With all of your options presented in an understandable manner, you participate equally in the decision making for the treatment of your complaint. The front desk, tech and the Dr. we're all friendly and professional. I couldn't ask for more. Excellent! The support staff was courteous and helpful. Dr. Zeetser spent a fair amount of time with me, answered all of my questions, and addressed my problems. I have never been happier. Was very thorough in looking at my daughter's foot. Recommended an MRI and explained in detail why he used a specific place. The referral was written immediately. He then took time to explain the method he uses to do bunionectomy's when I asked about this. As always he is very efficient with the problem at hand. And we took time to try & solve the world's problems. Dr. "Z" is excellent. I couldn't be more pleased with the results of my surgery. I knew just what to expect; furthermore, he is responsive and seems to really care about his patients. I highly recommend this doctor! Dr. Zeetser is awesome! He was very helpful with my process of deciding what to do about my feet issues. Much more informative than a doctor in saw last week. Dr. Zeetser didn't rush, actually took the time to explain exactly what was wrong, ways to fix it and what I should expect. So glad I went to Dr. Zeetser for a second opinion. Dr. Zeetser and his staff have been amazing! I've had difficult and chronic ingrown big tow nails for over a year. Dr. Z, has been so patient and caring while treating my nails. I am looking forward to permanent surgery tocorrect this issue. If you are looking for a Podiatrist, I highly recommend Dr. Z eetser. It was exploratory. The Doctor took the time to explain the process and procedure. I always have lots of questions. he answered them all. made me feel quite comfortable. It was excellent in all respects other than wait time. Reception staff was welcoming and fast to process paperwork. Nurse was friendly and efficient. Dr Zeetser was great, listened to problem, diagnosed immediately and explained clearly the problem and treatment. Will recommend highly. He was very professional and took care of the immediate problem with a small surgical procedure. We also spoke about some longer term issues with my feet and are going to proceed with some supplements he recommended. I was very please.My wife had seen him before and she liked him too. This doctor is amazing, caring and compassionate. The staff is amazing. No wait times. I cannot say enough about this office and doctor. I see them weekly for my injury and it's always a pleasure going to this office. He was very professional and friendly at the same time. He answered all my questions and explained my procedure clearly and not in "doctor" talk. I would highly recommend him. Also, his staff were very efficient and pleasant to deal with. I was pleased to find out that the comments on Yelp were in fact an accurate reflection of how Dr. Zeetser's office actually was. His staff was friendly and professional and I was attended to in a timely fashion. I feltthat Dr. Zeetser provided me with the appropriate amount of time and felt that he truly wanted me to understand all of my options and that there was no pressure to commit to any particular course of action. Overall, I was very satisfied with my first experience with Dr. Zeetser and his staff. awesome staff and doctor. prompt and detailed. Dr. Zeetser was very personable, professional and most importantly, knowledgeable! My visit with Dr. Zeetser was a very nice and I am advising anyone with bone issues to go to see him at his office. His staff members are very friendly and very approachable, not cold at all. Dr. Zeetser and his staff aer great people. Dr. Zeetser was a nice guy, however his office staff was not easy to deal with. I had to fill out additional papers when I got there and then they asked me the same questions I had already answered twice before.When I left the woman at the front that was supposed to give me some medication for my toe just brought it out, set it down and continued to eat her candy. After an awkward silenece I asked her if this medication was for me and she replied "well you have to pay for it". I won't be returning. This is only because of the office staff not because of the doctor. I had to wait a long time and the office waiting room was full of people that seemed to have other issues. Sort of like "One Flew Over The Cuckoo's Nest". One person had her dog with her, another had a melt down becasue the TV was not working and the woman beside me kept fixating on my shoes. Dr. Zeetser is a wonderful foot and ankle specialist with a great bedside manor. He is courteous, and kind and very knowledgable in his field. I needed two infected toe nails removed and he helped me to feel comfortable during theentire procedure. His office is up to date, clean and organized. His office staff is amazing and were right there to help the doctor and me with everything. I was very impressed with my experience to Dr. Zeester and would highly recommend him to anyone who needs a knowledgable Podiatrist. I will definitely be returning to this office for all my future foot and ankle needs. I was afraid to see a Foot Doctor before, but now I know I have nothing to be afraid of with Dr. Zeester as my Doctor. I am grateful to him and his staff! The visit was pleasant and the doctor knew exactly what I had (plantar fasciitis) . Still have another visit but so far real good :). Very helpful. He answered my questions and explained what he was doing and would need to do in the future. Dr. Zeetser is *outstanding*. He's very knowledgeable, caring, and helpful -- his office has always done an excellent job of helping us through a challenging health event, and have gone out of their way to make it possible for us toget the best treatment and the fastest appointment times! My Wife and I recommend Dr. Zeetser and his office to everyone who wants the very best in care, with a sophisticated and technologically up-to-date practice and staff that are both personable and professional. We wish we'd known about him *years* ago! This is what Healthcare *should* be! Highly recommended! I think Dr. Zeetser is a very professional doctor. He took the time to address my concerns and questions. I was very satisfied with the visit. I felt very at ease with him and left feeling positive. I went there inpain and left with no pain and feeling like I would soon be better. It was very professional in a casual way! I will refer others! The wait time in the office was really long - but to be fair - I changed my appointment from 2pm to 1pm, so I guess something must have got confused in the scheduling. Great visit, very knowledgable doctor and will spend as much time with you as you need. I had a great experience on my first visit and subsequent bunion surgery. I can highly recommend this doctor to anyone who needs bunion surgery. He was very thorough and helpful when explaining to me the measures that would need to be taken to correct the tailor's bunions in both my feet. I was very happy with Dr. Zeetser. After I saw Dr. Zeetser, I realize why the appointment time was delayed. He needed to spend more time with me than I think he thought, which was great. I think he has to do that sometimes, so delays can not be helped. He was excellent! Wish I had come in sooner! The doctor was professional and personable. He put me at ease and even remembered my wife that he helped several years ago. Highly recommended. My wife and I loved Dr Zeetser He is very gentle and most important very knowledgable We have already set up future appointments with him until everything is taken care of We have great faith in him that he will dohis very best and take care of the problem We have set up an appointment for a small surgery of the foot Thank you ZocDoc for helping us find a great Podiatrist! Dr Zeetser is great. Answered all of my many questions & helped me make the right decision about my needs. Two toes up! I was very happy with my visit. The exam was thorough and he explained all of my issues in detail, way more detail than I could understand fully. I am very confident in his expertise and will likely go with him if I choose to have the bunion surgery.